Associated Press - CHICAGO — Tribune Co. promoted its general counsel to the position of chief restructuring officer on Wednesday as it attempts to lift itself out of Chapter 11 protection. The publisher, which owns the Los Angeles Times and Chicago Tribune as well as other newspapers and TV stations, says Don Liebentritt will now focus exclusively on the company's negotiations with creditors. The company promoted David Eldersveld, previously Liebentritt's deputy, to general counsel. Tribune was close to finishing off a reorganization plan that would have turned the company over to JPMorgan Chase and distressed-debt specialist Angelo, Gordon & Co. But the deal fell apart last month after a court-appointed examiner found that some of the negotiations leading up to a 2007 leveraged buyout that took Tribune private bordered on fraud. 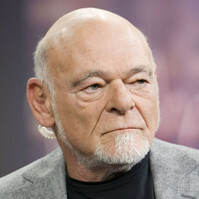 Bondholders looking to get more of their money back have criticized the deal and the man who put it together, real estate mogul Sam Zell. The buyout loaded Tribune with more debt than it could handle as advertising revenue dropped across the newspaper industry, hurt by the recession and the shift of ad dollars to Web-based competition. Tribune filed for bankruptcy protection in December 2008. To get negotiations with creditors back on track, a court-appointed mediator will facilitate talks. Besides naming a restructuring officer, Tribune last month put together a special committee of its board to oversee the Chapter 11 process.